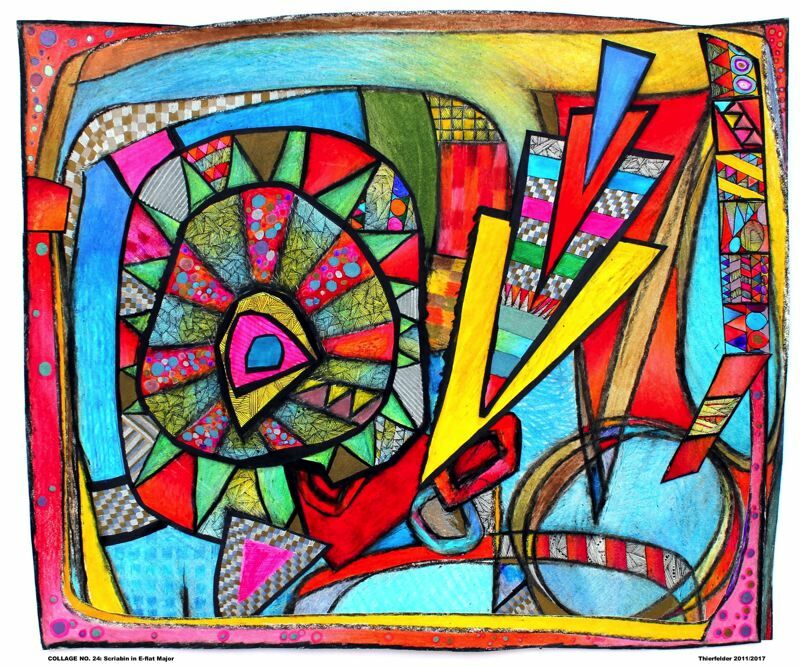 Gresham Art Committee opens show on Feb. 13 at Gresham Visual Arts Gallery in City Hall. In its latest show, the Gresham Art Committee brings musical elements to life in abstract forms. "Sharps and Flats" opens Monday, Feb. 12, at the city of Gresham Visual Arts Gallery and will run through early May. Curator Jonathan Scott describes the show as the translation of music to physical, tangible art forms. The title phrase can mean many things, such as subtle changes in music or art experienced through vibration and sound that are slightly "off" from the usual. In total, "Sharps and Flats" features 40 pieces and 14 local artists. The show highlights a wide range of media, including painting, drawing, mixed-media, photography, digital art, sculpture, jewelry, pottery, glass and other three-dimensional works. 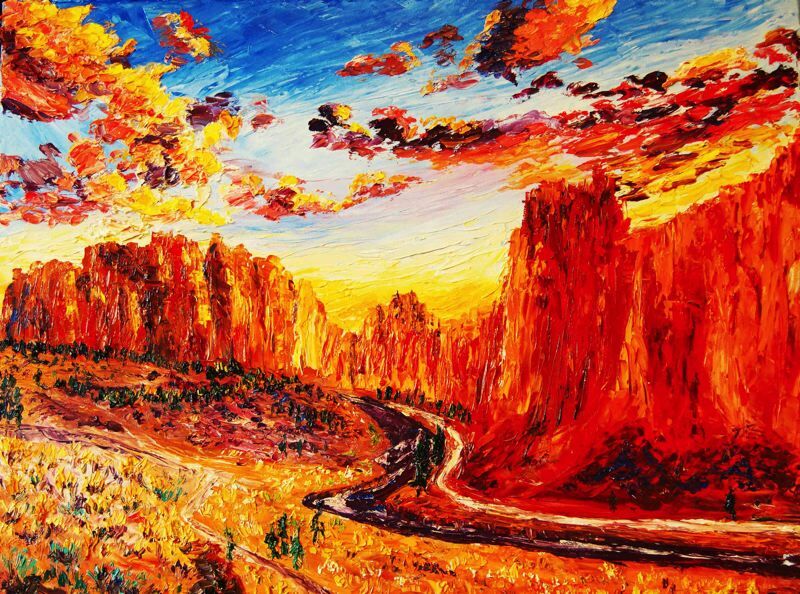 Among the various pieces are hand-painted and dyed silks by Janelle Bethke, a colorful, whimsical collage by Bill Thierfelder and a scenic oil painting of Smith Rock by Eryn Tehan. "I hope that viewers see all of the amazing opportunities that Gresham has to offer through art and what they can do with different types of art," Scott says. An artists' reception for "Sharps and Flats" will be held from 5:30-7:30 p.m. Tuesday, Feb. 27. Attendees will have the opportunity to mingle with artists and enjoy live music and refreshments. The seven-member Gresham Art Committee hosts four quarterly shows throughout the year. Its members are dedicated to promoting cultural and artistic diversity by exhibiting art and showcasing artists who represent the community. The organization also strives to create a learning environment for the appreciation of art history, craft and artistic philosophy by nurturing emerging and established artists, their works and other arts organizations. Scott joined the group two years ago when he moved to Gresham from the Midwest. After looking for local art groups to join, he discovered the Gresham Art Committee through Nextdoor, a social networking app for neighborhoods. The committee gave him an opportunity to connect with the Gresham area art scene. "It's a great way to promote local artists, to meet new people and to be part of something in the community," Scott says of his involvement. "This is an easy starting place for people who are interested in getting into the art world." The group has room for additional members and welcomes new participants. Each volunteer member plays a role in curating and hanging art shows, as well as taking part in monthly meetings. Along with Scott, the Gresham Art Committee includes Katherine Toft, Kaitie Sekely, Barbara Solomon, Preston Boyd, Debra Dunlop and Leo Hartshorn. The next committee exhibit, "Reclaimed-Repurposed-Recycled," has a deadline submission of March 23. Entrants are encouraged to reimagine and reuse old items to create art. To learn more about "Sharps and Flats" or to become involved in the committee, visit greshamartcommittee.com.